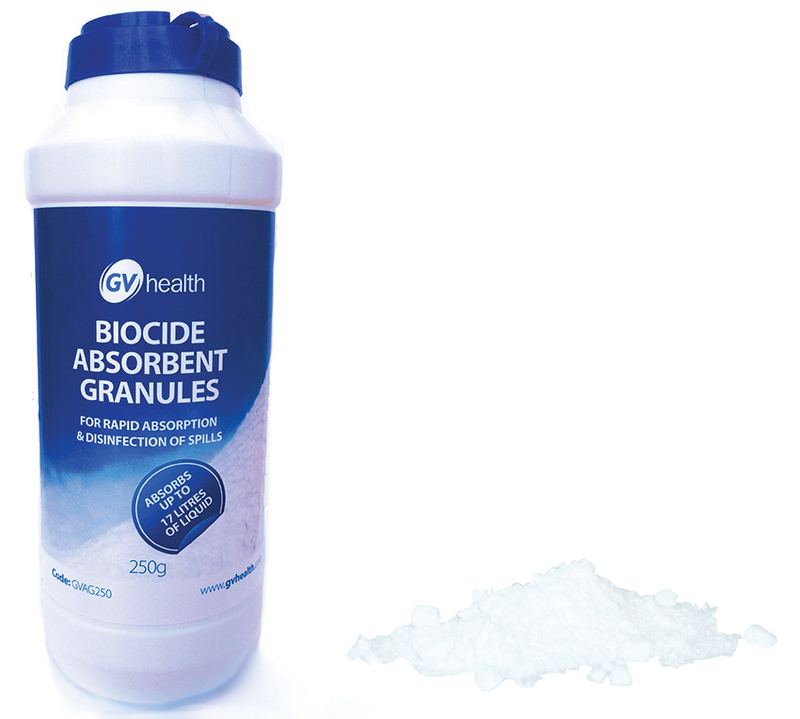 Biocide Absorbent Granules hold the NHS Supply Chain contract for urine and vomit spill clear up. Used throughout the NHS in hospitals, clinics, surgeries, laboratories and ambulances; dental and veterinary practices; nursing and care homes, schools, offices, businesses, ships, aircraft etc. Safe for use by non-specialist staff and first aiders.